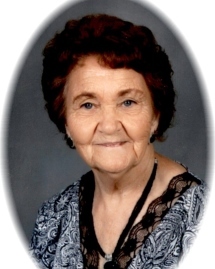 Mrs. Alice Malone Stonaker, age 86 of Williamson, Georgia passed away Friday, November 30, 2018 at WellStar Kennestone Hospital. Mrs. Stonaker was born in Digby, Georgia on November 21, 1932. She is preceded in death by her husband of 36 years, James R. Stonaker; her partner of 18 years, Sam Powers; son, Wendell Stonaker; son-in-law, Bevel Conner; brothers, Larry Malone, Lainer Malone; sister, Velma Redmond. She retired from Griffin First Assembly Day Care, and was a member of the Williamson Christian Church. Visitation for Mrs. Alice Malone Stonaker will be Tuesday December 4, 2018 from 6:00 pm until 8:00 pm at Conner-Westbury Funeral Home. A funeral service will be Wednesday, December 5, 2018 at 3:30 pm in the Chapel of Conner-Westbury with Johan Van der Merwe officiating. Interment will follow in Westwood Gardens.